Immigration. It has been a long, highly debated and highly controversial topic between many Americans throughout the years. Some believe that we should accept anyone who wishes to enter our borders and become a citizen. Some say we should deny them. Others say we should just allow children. Throughout the years, it seems we still don’t fully understand where we stand, but many parents, children, and families are constantly being affected by our laws and handling of immigration law. 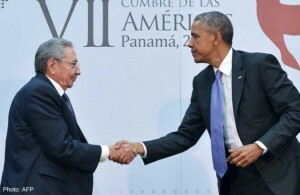 And with the United States taking steps for the first time in fifty years to normalize relations with Cuba, some people believe it may be time to re-examine our outdated methods. Due to our normalization of relations with Cuba, it will become much simpler for Americans to travel to Cuba and vice-versa. That will make the wet-foot, dry-foot policy which we currently have in place not really needed, according to several politicians. While the current administration currently states that the policy will remain, Cuban officials are calling for a stopping of the policy in order to stop the United States from draining skilled workers and citizens from Cuba. Thanks to the fear that the policy may change, we are finding a growing number of refugees attempting to reach the United States before the removal of the policy happens. Even though many years have passed since the policy was originally enacted in 1995, it seems there isn’t a clear cut directive of whether or not we should keep the policy or move forward due to changing political circumstances. People are still as torn as ever on the policy, and there doesn’t seem to be a clear cut solution to the issue. 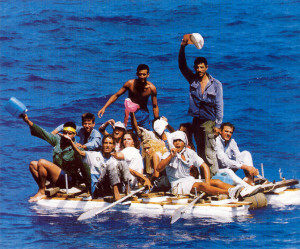 However, as people continue to debate this issue, more and more Cuban immigrants are migrating to the United States, whether to escape economic persecution or political persecution, and families are being split apart by the current legal laws. However drastic these changes may seem, always remember that Blick Law is here to help regarding immigration matters. You can always call for a free consultation and we are happy to assist you in any way that we can. Immigration and moving to a new country is always difficult, and so if you or someone you know needs help being guided towards the lengthy process, we urge you to give us a call so that we can help.